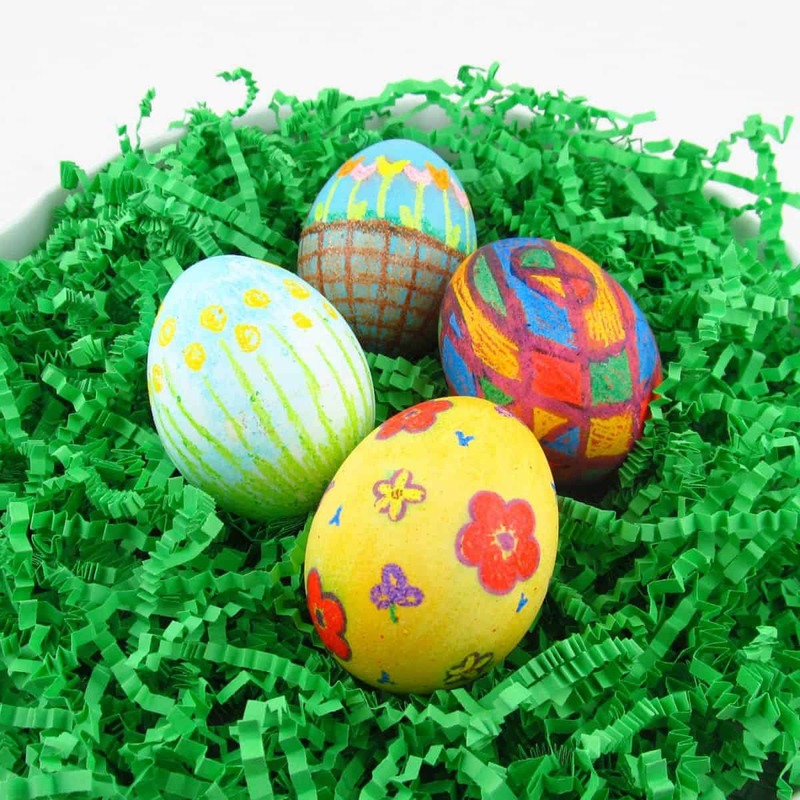 Decorating eggs for Easter is similar to pumpkin decorating for Halloween. 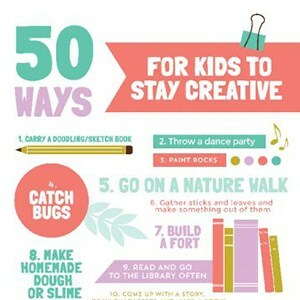 It’s a must-have tradition (for young and old) with endless creative ways to do it. 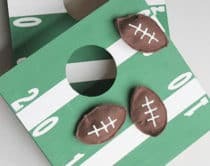 Before you go on that Easter egg hunt searching for that perfect decorating technique, check out these 15 creative ideas to get you thinking outside the shell. 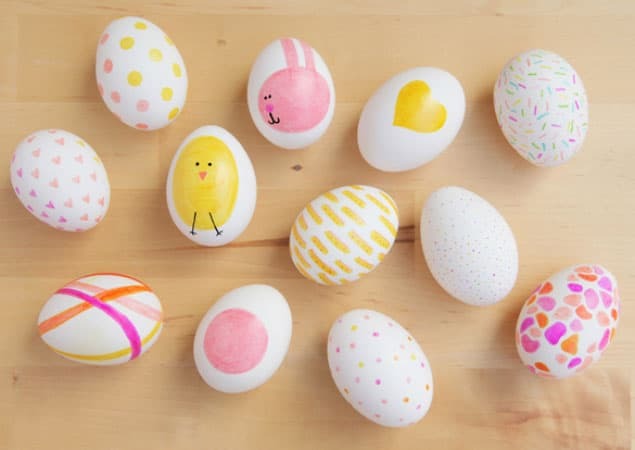 From paints to decorative tape, stickers, confetti and sprinkles, you’ll be hard pressed to find any more dazzling Easter eggs decorations. 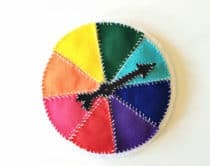 All these ideas are simple enough for kids to get hands-on in making with just a bit of help. 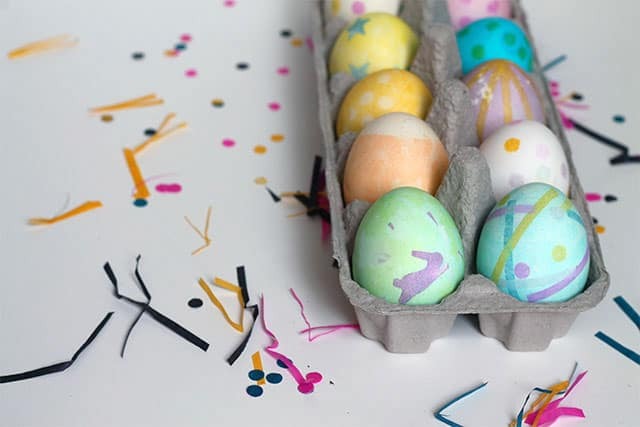 Washi Tape Eggs (via Lovely Indeed) With just some decorating tape, you can make some pretty cool and artsy designs with lots of inspiration included to make your own. 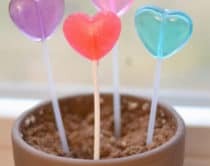 Watercolor Eggs (via Nest of Posies) Have your kids create works of art with this pretty yet simple free-hand watercolor technique. 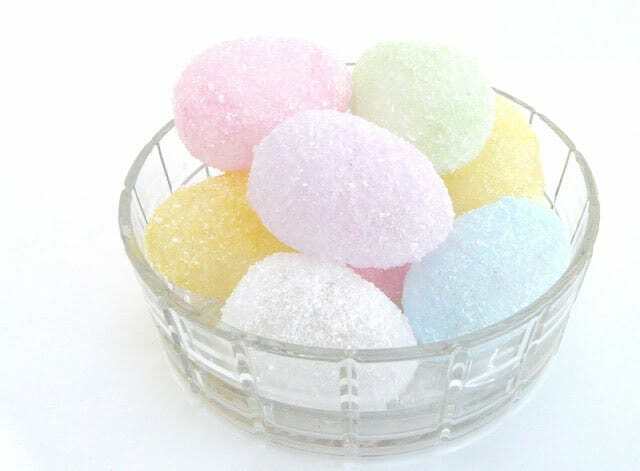 Nail Polish Eggs (via Henry Happened) I love this simple idea. 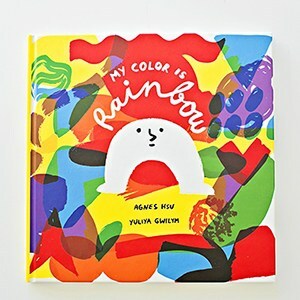 Nail polish is an easy to handle paint brush for little hands and can create such a stunning marbled effect. 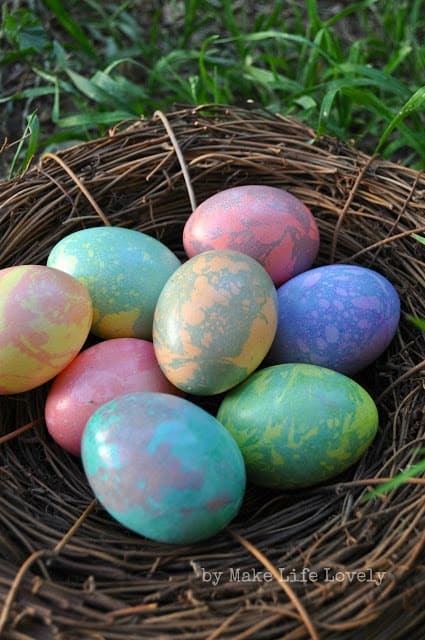 Natural Dyed Eggs (via Babble) There’s something about plain colored eggs that’s classic and timeless. 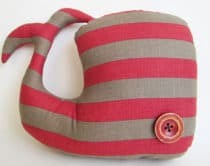 Included here are many ideas to make your own natural dyes which are safer around kids. 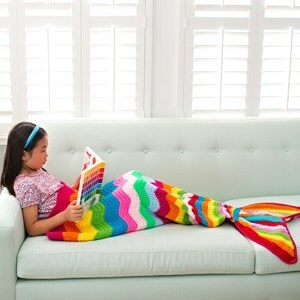 Printed Decal (via How About Orange) This idea is so cool. 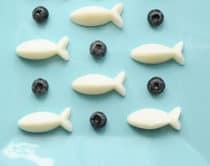 It’s just like giving eggs their very own tattoos! 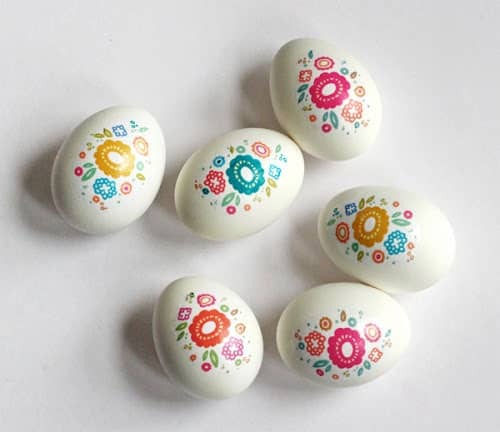 Included is a free printable to create these floral egg decals. 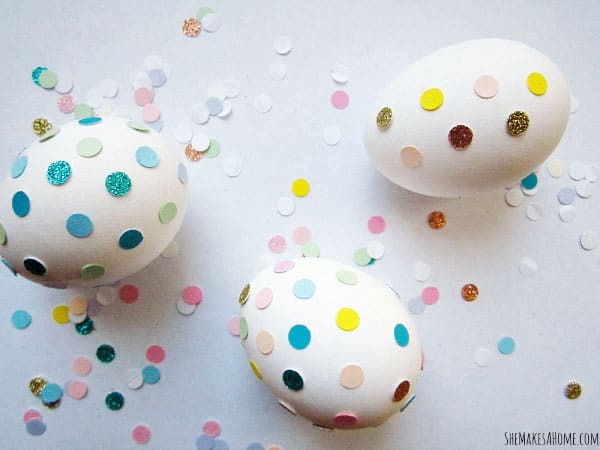 Confetti Eggs (via She Makes a Home) Jazz up plain looking eggs with some confetti dots which always seems to turns something ordinary into the extraordinary. 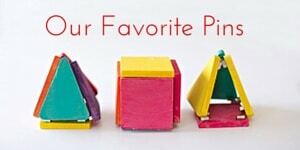 Crayon Wax Eggs (via Rise and Shine) Here’s a neat crayon wax project that your kids can do to draw what they like and portray it in an artistic way. 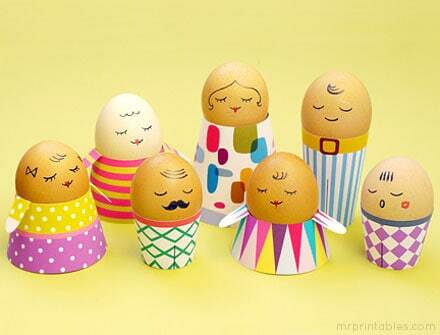 Easter Egg People (via Mr. Printables) How cute are these little egg characters? 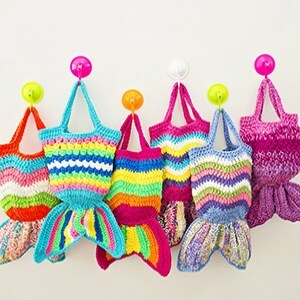 They’re easy to make with the free printable template included with 6 dashing outfits. 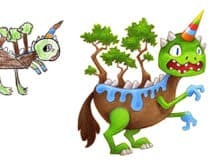 The fun part will be having kids draw in the faces! 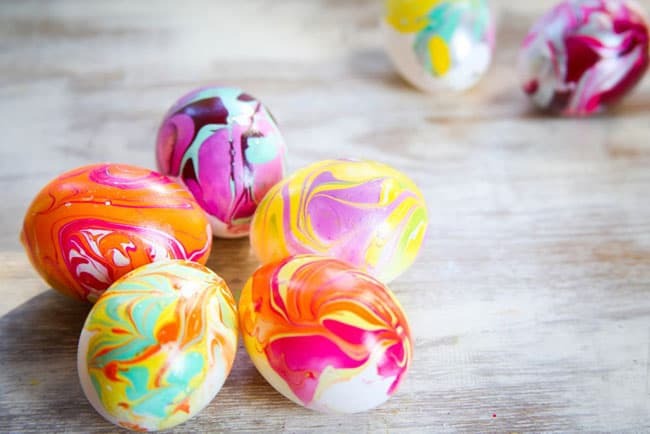 Marbled Eggs (via Make Life Lovely) Marbling eggs with dyes is a classic method for creating simple, swirled patterns for a unique look that’s different each time. 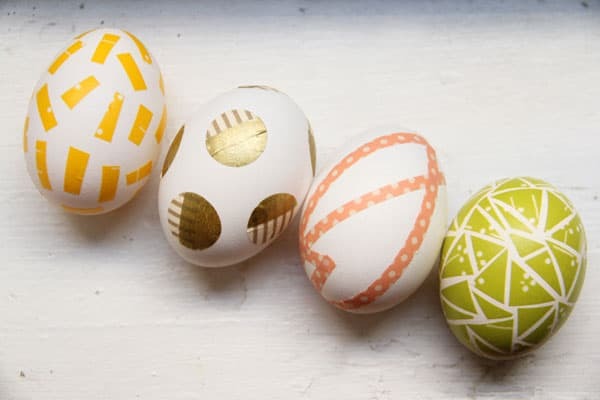 Sharpie Eggs (via Mom.me) I love that you only need one thing to make these (Sharpies or markers) to create all sorts of fun designs and shapes. 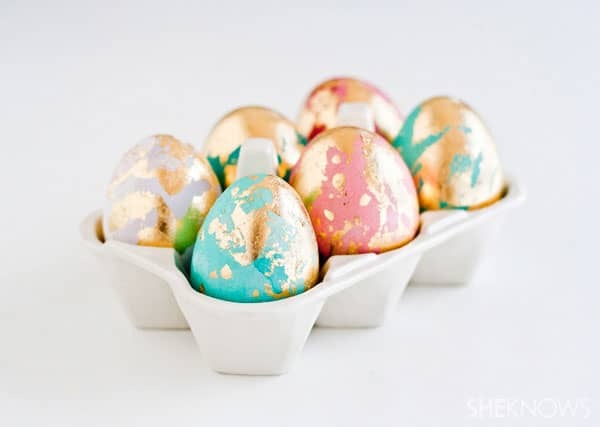 Glitter Eggs (via Bliss Bloom Blog) Glitter creates a sparkly, fun look. 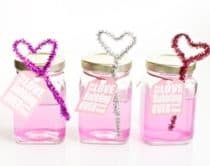 Not only that, this tutorial also shows you how to make your own glitter from just two easy ingredients! 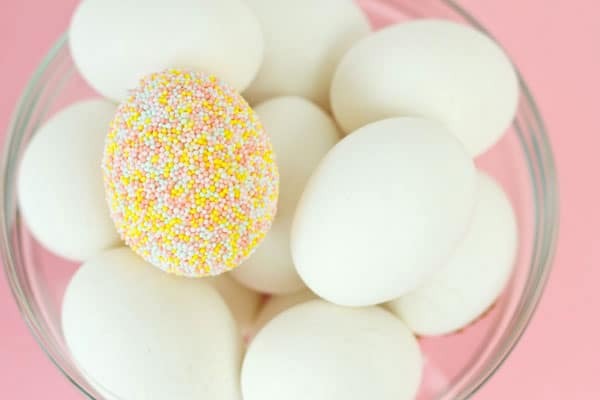 Sprinkle Eggs (via Studio DIY) I have a ton of sprinkles leftover from many baking activities and now, I know just what to do with them! 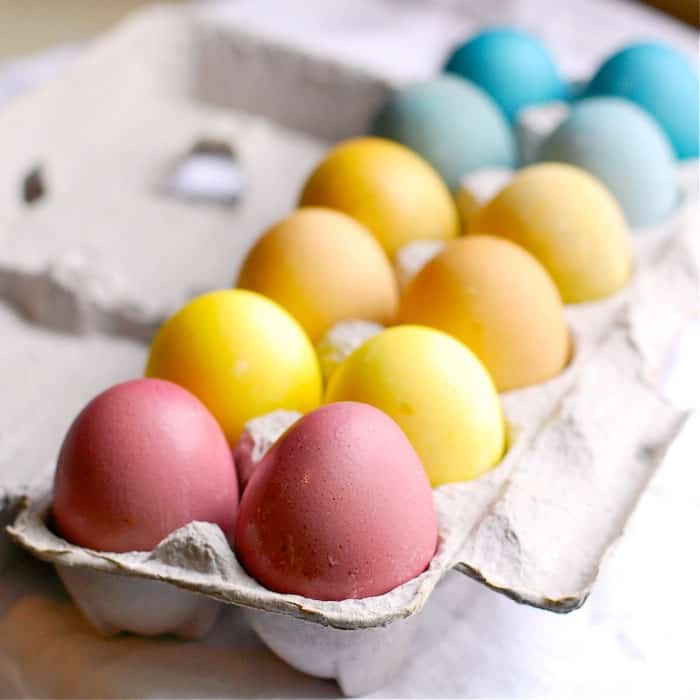 Try sprinkling eggs for a decorative look that’s super easy to achieve. 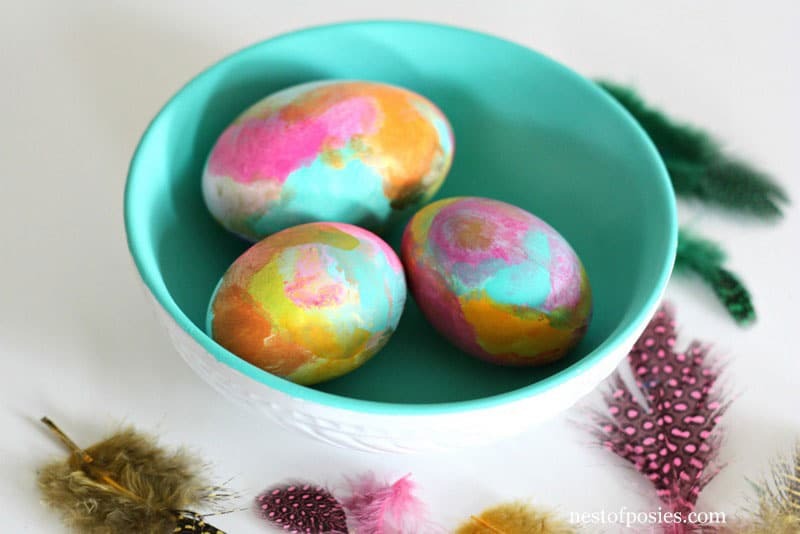 Tissue Paper Eggs (via Squirrelly Minds) Here’s another way to decorate Easter eggs with just one piece of material. 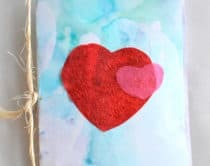 It’s also a great way to use up any gift tissue packaging! 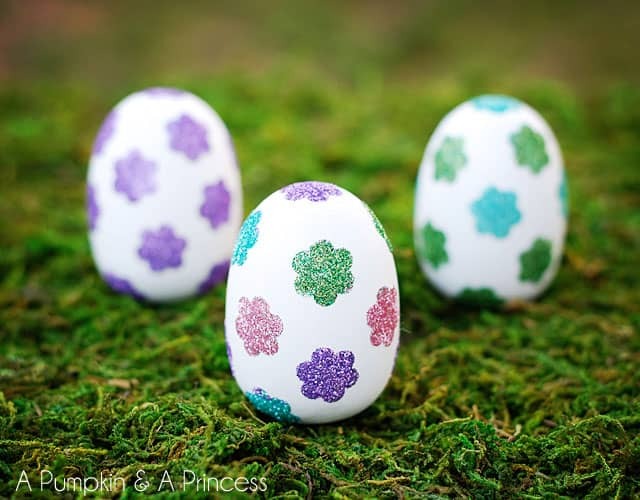 Glitter Flower Eggs (via A Pumpkin & A Princess) This Easter egg decorating is one that involves two things kids love to do – glittering and stickers. 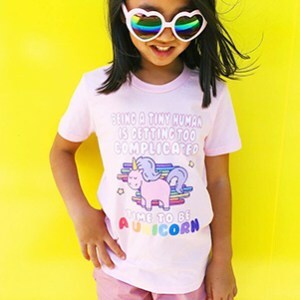 The final look is so pretty and sparkly. 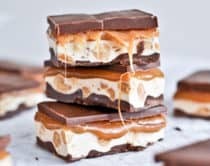 Golden Marbled Easter Eggs (via She Knows) For a gorgeous and stunning look, you can’t go wrong with this gold leaf marbling technique which almost makes the eggs look like works of art. 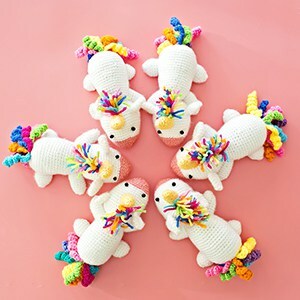 More Easter and spring related projects here!